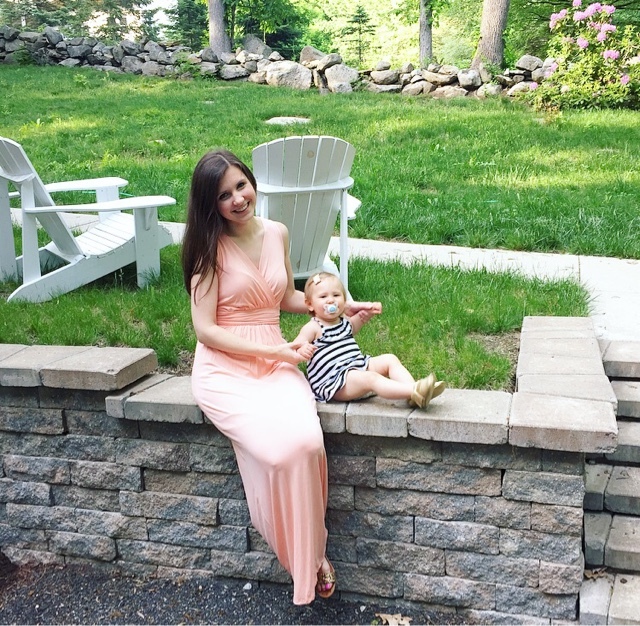 You might have heard of PinkBlush from their adorable line of maternity clothes, but I'm willing to bet some of you didn't realize they had so many awesome non-maternity options too! Their wide range of styles, including some of the cutest dresses around, are designed especially with the female form in mind. 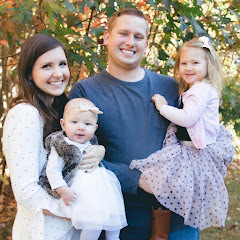 If you take a peek at their website, you will quickly see how versatile their clothing is - perfect for pre-pregnancy, maternity, postpartum and beyond! 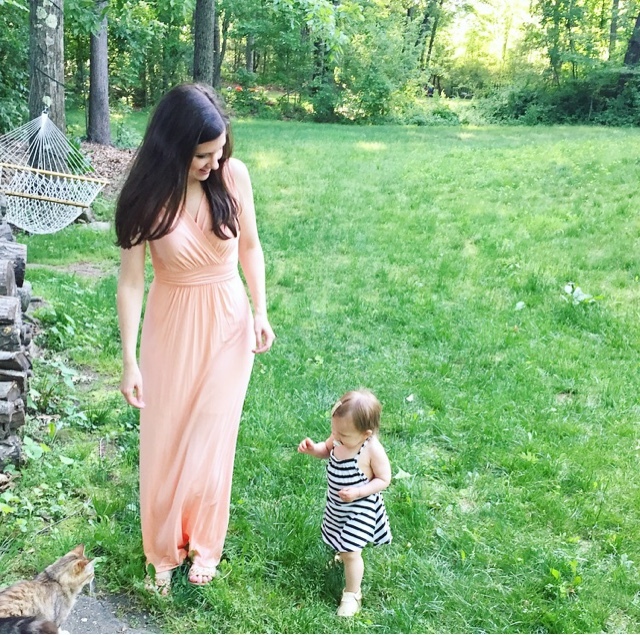 I won't disclose how long I spent on PinkBlush website trying to choose just one item, but ended up with this peach maxi dress and am so happy with my choice. This style is a great example of how transitional their styles can be. The ruching just above the midsection makes it perfect for disguising what might be left of a postpartum belly, and the top of the dress would make nursing a breeze! 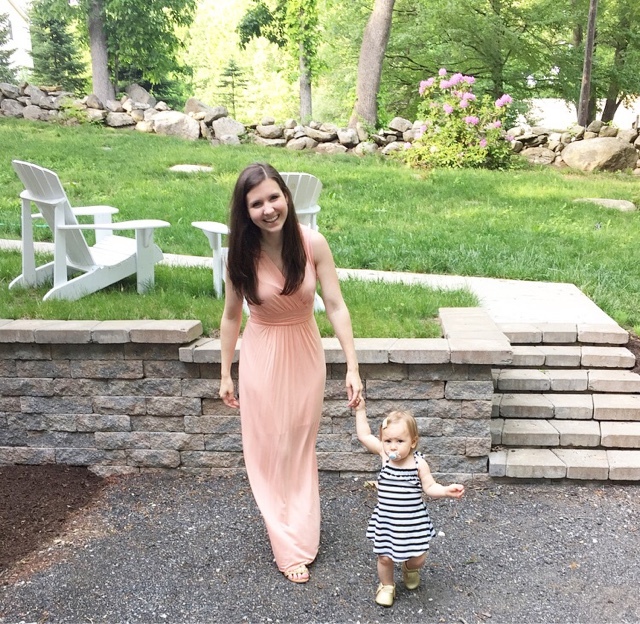 I love that this dress is something that I can wear now, into my next pregnancy (whenever that may be), and something I can look forward to easily slipping into post-baby. 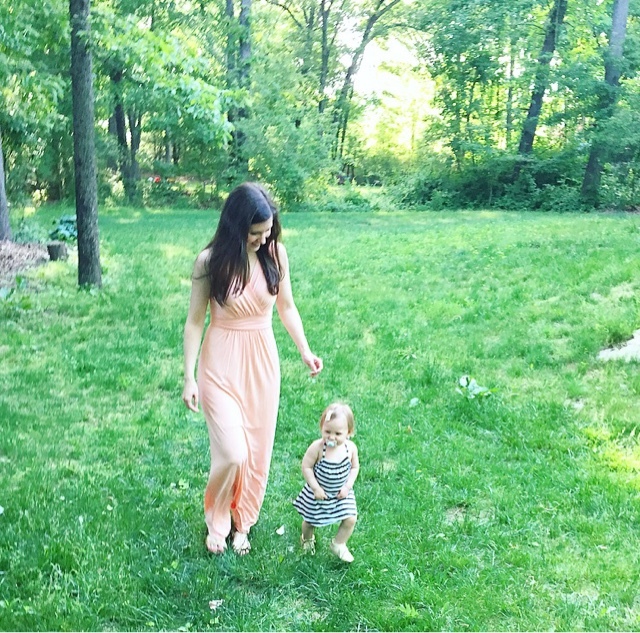 The fabric is so soft + lightweight - awesome for summer weather without being sheer. The dress is also the perfect length, making it so that I could wear either flats (as pictured) or heels depending on how I wanted to style it. Dressed up or down, this maxi is something in my wardrobe that will be getting quite a bit of use! Now for the fun part - PinkBlush has generously offered to give away a $50 store credit to one of our readers! Enter below for a chance to add some adorable clothes to your summer wardrobe! Don't forget enter your bonus entries to increase your odds of winning! If you're already following any of the social media accounts listed, you don't have to re-follow, just be sure to add your name on each entry line. :) Winners may not have won a PinkBlush giveaway in the past three months. The giveaway is open until Tuesday, June 7th at 11:59 p.m. and the winner will be announced next week. Good luck! Dress provided c/o PinkBlush. All thoughts and opinions are my own.